Skiddle is an Official Ticket Outlet for Love Saves The Day 2019 in Bristol. Buy cheap tickets & find line-up information for Love Saves The Day Festival 2019. Kendal Calling 2019 Tickets: Official ticket outlet. Buy your Kendal Calling tickets in confidence from a primary outlet. 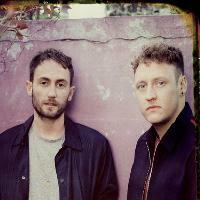 Maribou State does away with the original version&apos;s sweeping melodies and most of its lyrics, bringing the tone way down to that of a poised house roller. As the producers wrote on their Facebook page, the remix of Post War Years&apos; title track finds the duo "massively on a darker tip," from the hulking bass to the muffled, clipped-down vocal snippets and yawns. Do you promote/manage Maribou State? Login to our free Promotion Centre to update these details.